The seemingly never ending rise of the SUV has lead to dwindling sales of a number of other perfectly functioning body styles: the estate, the MPV and the sleek saloon have all dropped down the pecking order thanks to a surge in demand for these high-riding, off-roading wannabes. 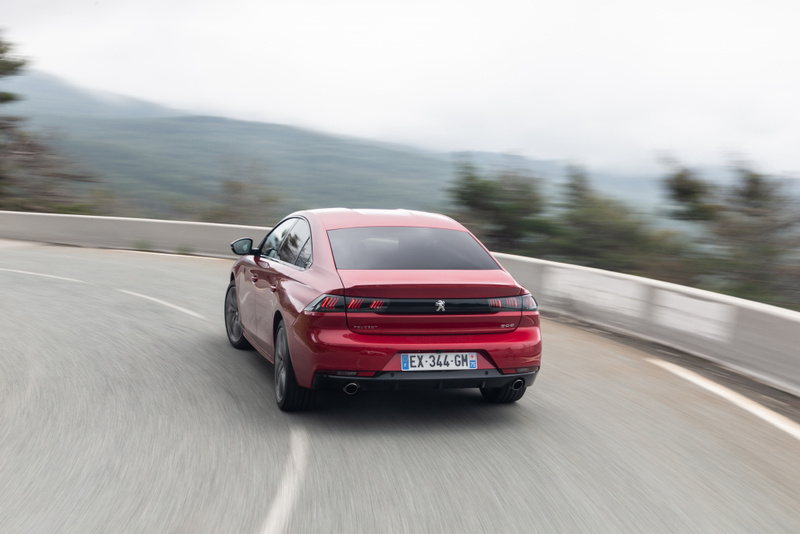 Peugeot was once among the most popular manufacturers of said saloon but a decline in quality, questionable residual values and more accomplished models from rivals has seen its grip on that market loosen further. 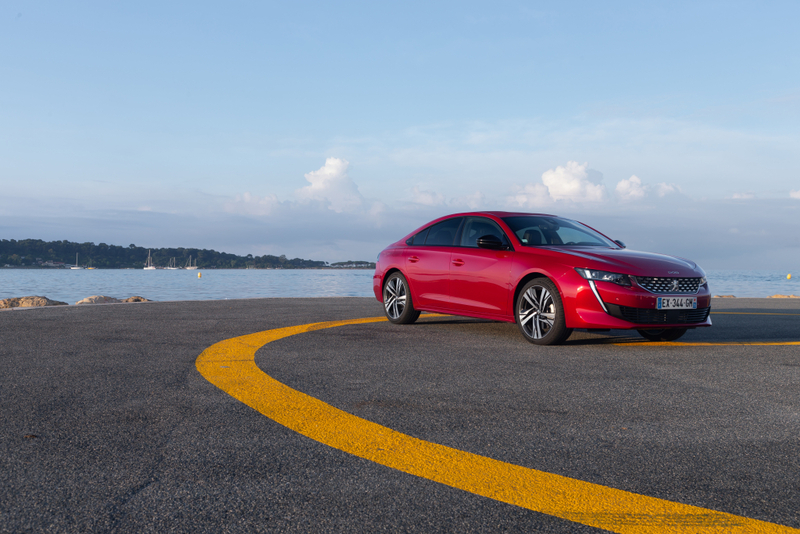 But with the introduction of a new and magnificently handsome Peugeot 508, the French manufacturer wants to claim back some of its lost ground and, in the words of CEO Jean-Philippe Imparato, become the best “high-end generalist brand”. 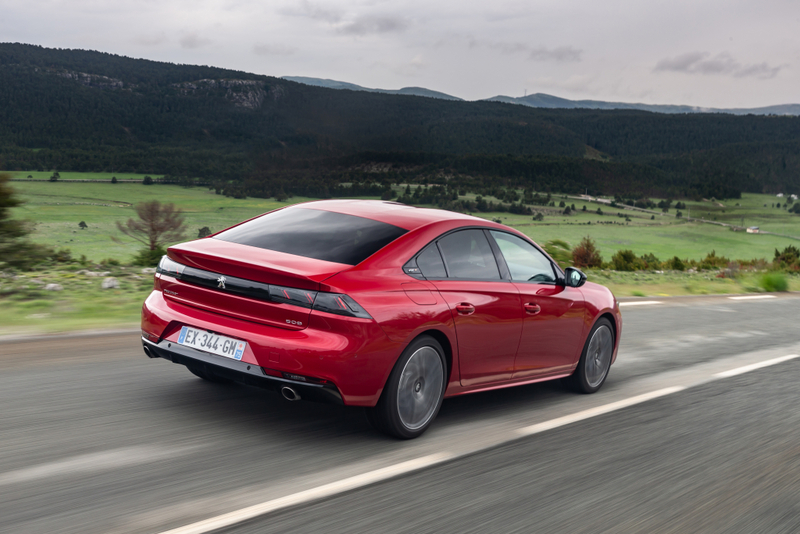 In order to challenge the likes of Ford’s long-reigning Mondeo, Volkswagen’s latest Arteon or Passat and Vauxhall’s Insignia in the UK, Peugeot has employed some head-swivelling exterior styling, while going against the general trend of up-sizing and shrinking the 508’s footprint, so it appears more squat and muscular on the road. Here, in the wealthy surrounds of Monaco, where Bentley and Rolls-Royce are king, the new 508 doesn’t look out of place and stirs up as much intrigue from locals as a Lamborghini would. However, the new shorter and more compact Peugeot 508 doesn’t scrimp on the interior roominess and by making the most the French marque’s latest – and lightest – basic platform, it has been able to squeeze an extra 14 litres of luggage space in the boot over the previous generation model. It also offers a range of diesel and petrol engines, which vary from the extremely frugal (and slightly underpowered) 1.5-lire BludeHDi 130 diesel, to the more powerful 2.0-litre iterant that develops 160hp or 180hp. The PureTech petrol engines, both 1.6-litres in capacity, are offered with either 180hp or a range-topping (and quite pokey) 225hp maximum power figure. None of the aforementioned units emit more than 131g/km of CO2, which makes them extremely competitive in terms of monthly running costs, while fuel economy is as high as 74mpg in the smaller diesel versions. 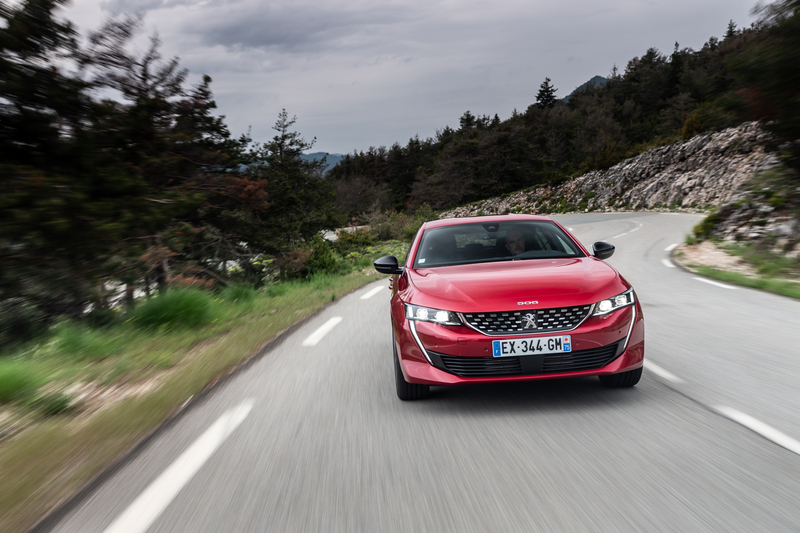 But rather than merely getting bogged down in competitive economy, everyday practicality and residual value figures, Peugeot has also ensured the 508 rides and handles well. When tested on some of the stunning, winding roads outside of Monaco, we’d even say the driving experience is verging on fun and engaging, if only the engines offered a bit more power. 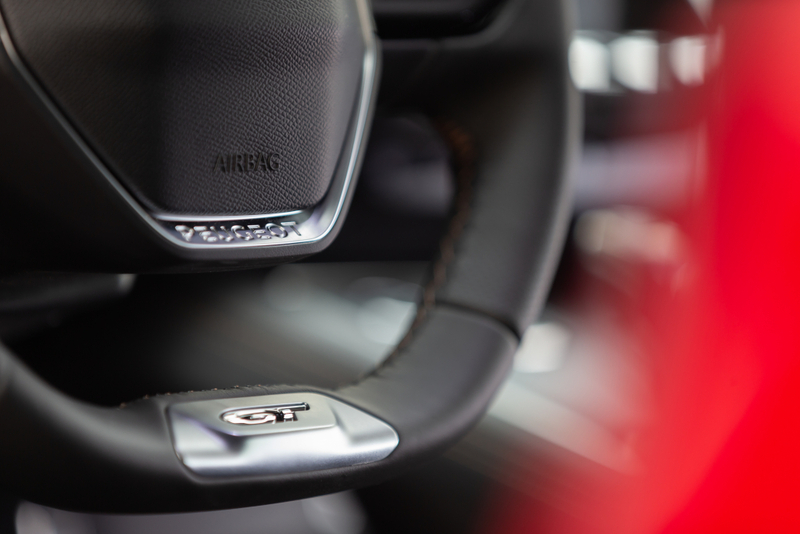 The steering wheel is tiny and responsive, making the 508 feel agile and sprightly, while optional variable damping, which electronically adjusts the suspension to be softer or firmer, means it can be wafting and comfortable or more hunkered down and athletic when the mood takes. If, like me, you like to sit low down in the cockpit with the steering wheel in your lap like a go-kart, the 508 offers the perfect amount of flexibility and seating position to achieve this. In addition, the front seats are extremely comfortable and the cosseting ride makes it very easy to tackle an entire day of driving without worrying about back pain. Most of the engine range, bar the entry-level 130hp diesel, come with the marque’s new eight-speed automatic gearbox, which swaps cogs effortlessly when driven normally but can be slightly slow to react under more aggressive inputs. 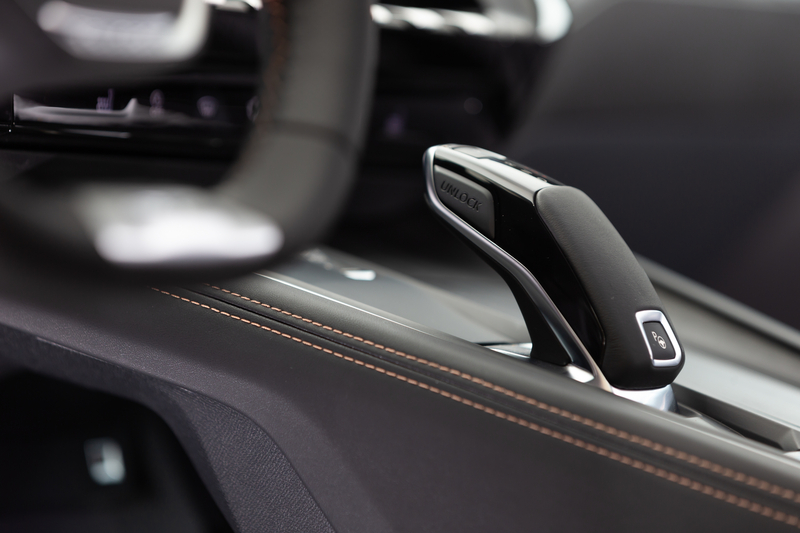 For those after a more engaging drive, there are paddles mounted behind the steering wheel that allow for manual gear changes, but these are fixed (rather than moving with the steering wheel) and can be difficult to locate when focussing on the road ahead. But this comes part and parcel with the ‘avant garde’ interior design, which customers will either love or loathe. That miniscule steering wheel features a flat bottom and a flat top, which is incredibly unconventional but allows the driver to peer at the new i-Cockpit digital display that sits where analogue instruments would typically reside. It consists of a 12.3-inch TFT screen that can be adjusted and adapted to show a number of different read outs, including infotainment data and navigational instructions, while a ten-inch touchscreen (eight inches on basic Active trim) sits in the middle of the cockpit and controls all manner of other functions. 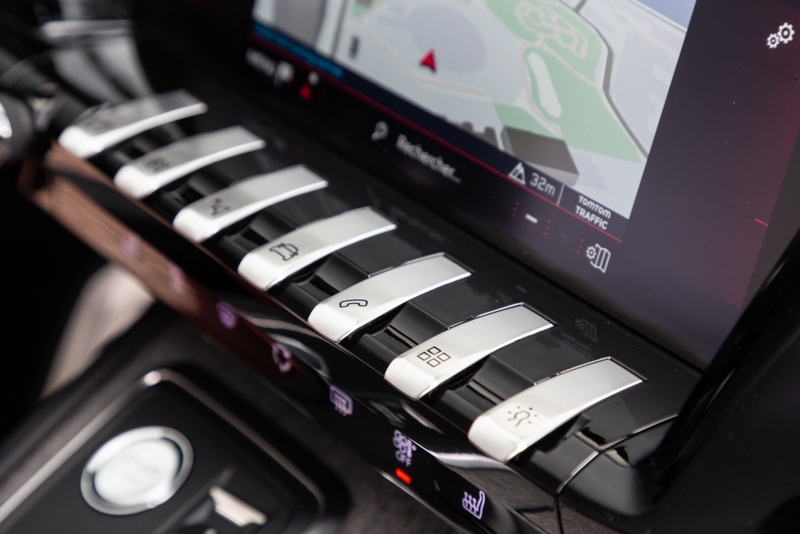 The layout itself is reminiscent of a concept car, with machined metal toggle switches and piano black surfaces giving it a real sense of luxury and an interesting alternative to the competition. Aside from the recently released Volkswagen Arteon, there is very little out there that can give the Peugeot a run for its money in the styling stakes and we believe the Peugeot 508’s interior is like nothing else currently on sale today, which in itself should be applauded. 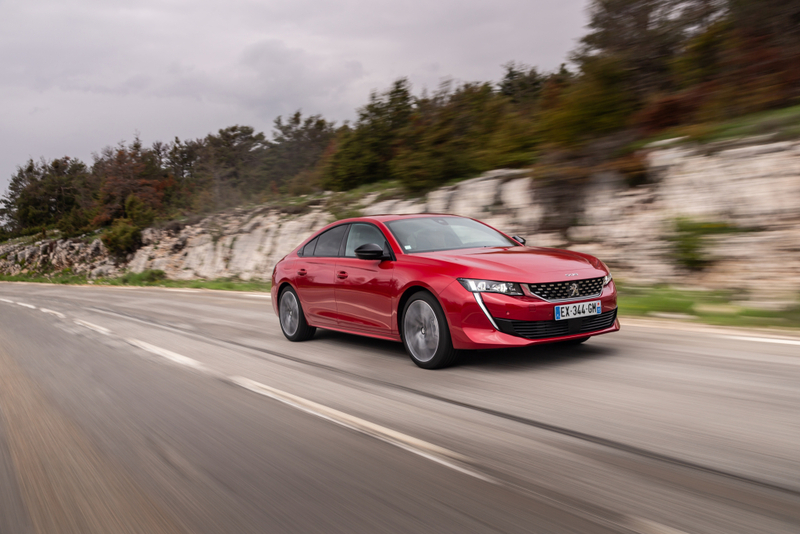 But with prices starting at £25,000 and rising to over £40,000 for the most lavishly appointed models, it puts the Peugeot 508 in direct firing of the extremely popular models from Volkswagen, Ford and Vauxhall, but also sees the likes of the Audi A4 and Volvo’s V60 come into play. We’re not ones to get into the minutiae of fleet operations and business car users, but we know the French stunner faces extremely stiff competition and for all of its merits, we could still struggle to see many of these on UK roads due to the rivals’ vice-like grip on the market and private buyer’s obsession with all things SUV. Can the all-new Arteon shake off the Phaeton's shadow?